Gesture becomes habit, habit becomes posture, and posture becomes structure. Seeking a training to deepen her effectiveness and knowledge of human anatomy, Susan undertook the rigorous ATSI certification from 2010-2011 and is now the sole board certified Anatomy Trains structural integrator in the Brattleboro area. Individual sessions, a 3-session series 'tuneup', and a complete 12-session structural integration series are available, utilizing the pioneering technique of Tom Myers, author of ‘Anatomy Trains’ and founder of Anatomy Trains Structural Integration (ATSI) which is based on the work of Ida Rolf and updated with the new science of connective tissue pliability and less discomfort than in earlier iterations. If this is the type of bodywork you feel drawn to experience, please contact me to discuss your needs. In this slow and substantial bodywork, we seek to free the binding and shortening in the connective tissues called the 'fascial network'. Fascia is a pliable fibrous layer of tissue that permeates the body and surrounds muscle, bone, organs, and even nerves. It performs an important role as a supportive smooth wrapping to reduce friction while body parts slide and glide during movement. When adhesions form in response to poor posture, injuries, surgeries or emotional stress and trauma, the result is restriction in muscle and joint function leading to an array of immobility and pain patterns. This advanced form of holistic body therapy works to soften and reposition fascial strain patterns, leaving the individual with more freedom and elasticity in the connective tissues. The SI practitioner's focus goes deeper than muscle, into the many layers of fascial tissue that are literally interconnected in one suspensory matrix of tissue. One distinguishing feature between most types of massage therapy and structural integration is that structural integration is not a passive treatment. Therapist and client together seek to align and balance the body three-dimensionally in gravity, while integrating movement education all along the way. Often, the client is asked to engage a muscle group (e.g. hamstrings) slightly while it is being worked, which leads to additional effectiveness. Those who embark on an ATSI series of twelve sessions use movement-centered 'homework' between sessions to strengthen their new awareness into everyday life. The great reward for the effort of engagement is a deeper integration of results into the nervous system for long lasting change. Results often include increased energy, greater comfort and range of motion, and a general sense of 'palintonicity', or even tone, throughout the myoskeletal system. 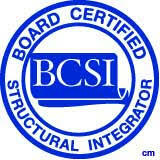 Structural Integration (Typically 1.5 hrs) $130.00 (discounted to $125.00 when purchasing a full series). Occasional scholarships are available to reduce cost. I want to shcedule a free Structural Integration phone consultation. Aligning your body in gravity takes the strain out of joints, fascia, and muscle groups, reducing pain sensations. Anyone with age-related symptoms, walkers and athletes of all kinds, dancers, and those who perform repetitive activities or desk work, are especially well suited to this approach to treatment. As a culture we are hungry for medical independence and empowerment. Structural Integration engages the client as an active participant in knowing, changing, and feeling on a deep level, embodying the inner landscape known as interoception. When was the last time you felt light, tall, and balanced in your body? When you begin an ATSI series, it all comes back again as a new iteration of what is possible for you.